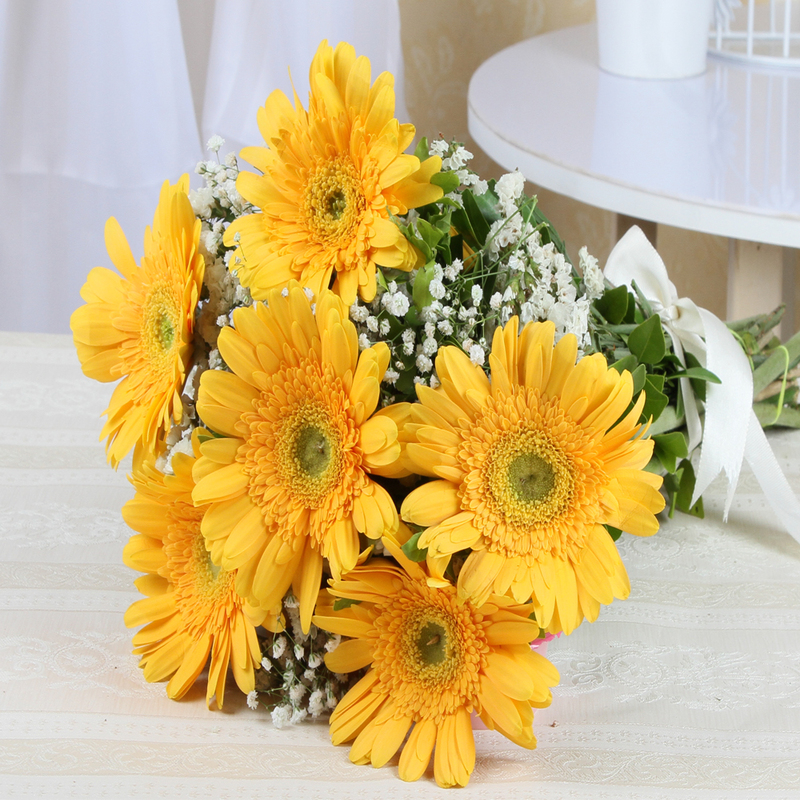 Product Consist : Bouquet of 6 Yellow Gerberas with lots of green fillers. When it comes to sheer attractiveness alone, nothing quite beats this amazing bunch of yellow gerberas There are six stem of yellow gerberas which look outstanding to say the least. 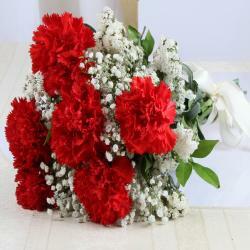 These flowers are also packed in premium and top end cellophane paper for supreme quality and heightened elegance alike. These flowers also come with a matching ribbon bow tied on top for a whole new dimension. 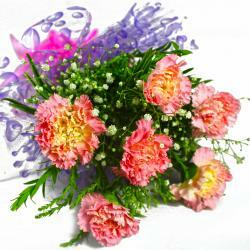 These flowers promise to be wonderful gift items for special occasions like Diwali, Birthday, Anniversary, Engagement, Pongal, Teachers Day and many more such events. 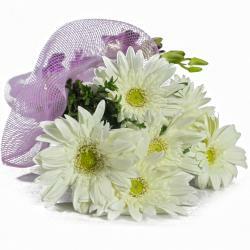 Product contains : Bouquet of 6 Yellow Gerberas with lots of green fillers.